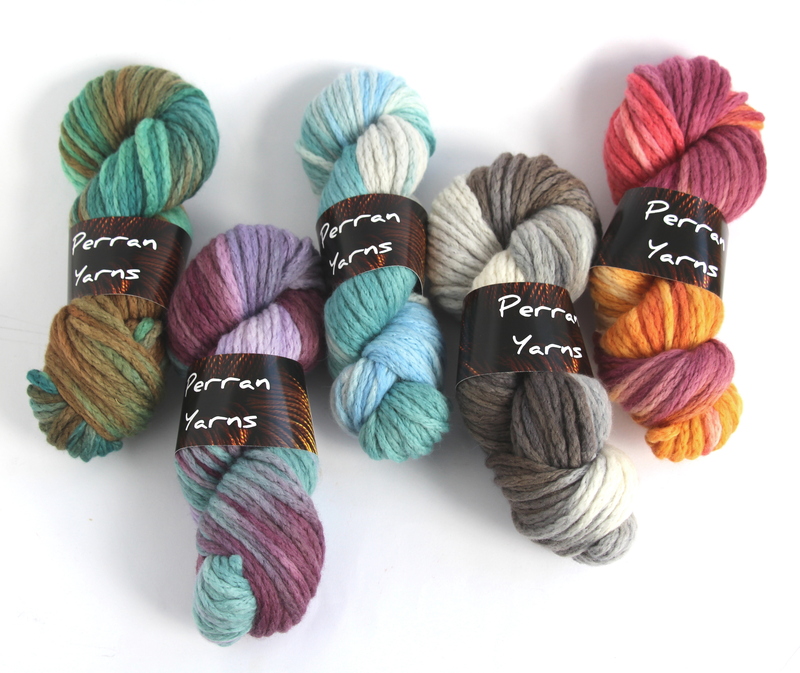 Throughout this year Laughing Hens are featuring a different independent yarn dyer each month, and Perran Yarns kicked off the feature with the January slot. Our superchunky merino chainette has been dyed in the 5 gorgeous colourways shown above from Laughing Hens. With your purchase you’ll receive not one but TWO free patterns – one knit and one crochet pattern, each using one skein of this gorgeous squishy soft yarn! The Storm Cloud colourway is already sold out, so head over to Laughing Hens quickly to choose from the remaining fabulous colours and make a quick cosy pull-on scarf in an evening.